Am I the only one who really doesn't care about the award shows anymore, last year they said no more Ricky Grevais hosting. Are they kidding he brought a lot more life into a ho-hum award show and yet he is back... I didn't watch and plan to never again. I don't drool over this garbage... movies are good and the great ones get missed... which films did you like that were not even offered? Who is tired of the same actors showing up that really phone in the same style every time, yet this time it's a master piece? I like Ricky Gervais, he is a real talent... you know he is laughing at us. Wow another great day, if I were in... Hell! the awards or my animated gif...? I'll watch some of the Oscars but never bother with any of the other awards. The Grammys especially annoy me. 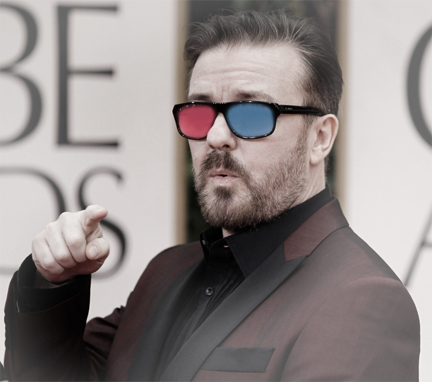 I didn't watch the Globes, I forgot all about it..but I do agree with you about Ricky Gervais! I love him! I find it so refreshing to see someone who doesn't take these awards so seriously...he understands that they are not curing cancer, they're entertainers.. I remember when they said he'd never host again, and here he is again...a lot of these Hollywood people take themselves way too seriously! I don't care about the awards shows, either. Plus, it's on way past my bedtime. The last time I saw an award show was when Kermit was giving an award away and he messed up his lines, and said that he couldn't see the card. so true... there is no reality in hollywood, i so want to live there. That MC Hammer gif is pretty funny. I don't watch ANY of the awards shows anymore. (Although, if the Ignobel awards were televised, I might have a peek at them.) Generally, hate awards shows, but I love your animated graphics. You've probably heard this one a zillion times before, but just in case you haven't: There are 10 kinds of people in the world --- those who understand binary and those who don't. An MC Hammer gif? Well done my friend, well done. I'm expecting big things from you. How do I make sure I get in on the A-Z Blogging challenge. It was fun last year. cal, the info is coming.